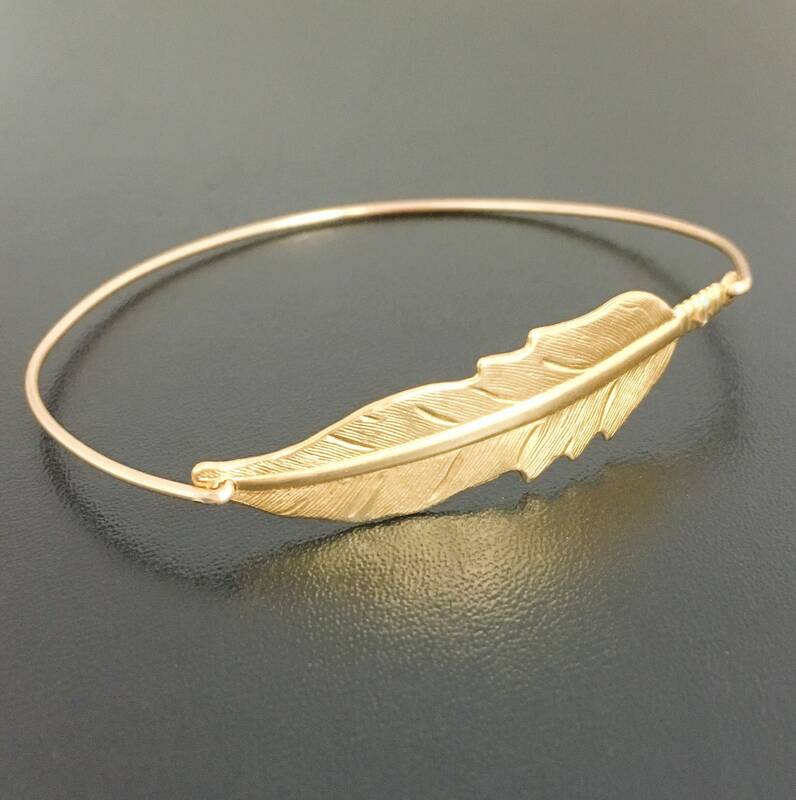 Feather Bracelet - A detailed gold tone brass feather charm has been transformed into a feather bangle bracelet with choice of brass band or 14k gold filled bangle band. 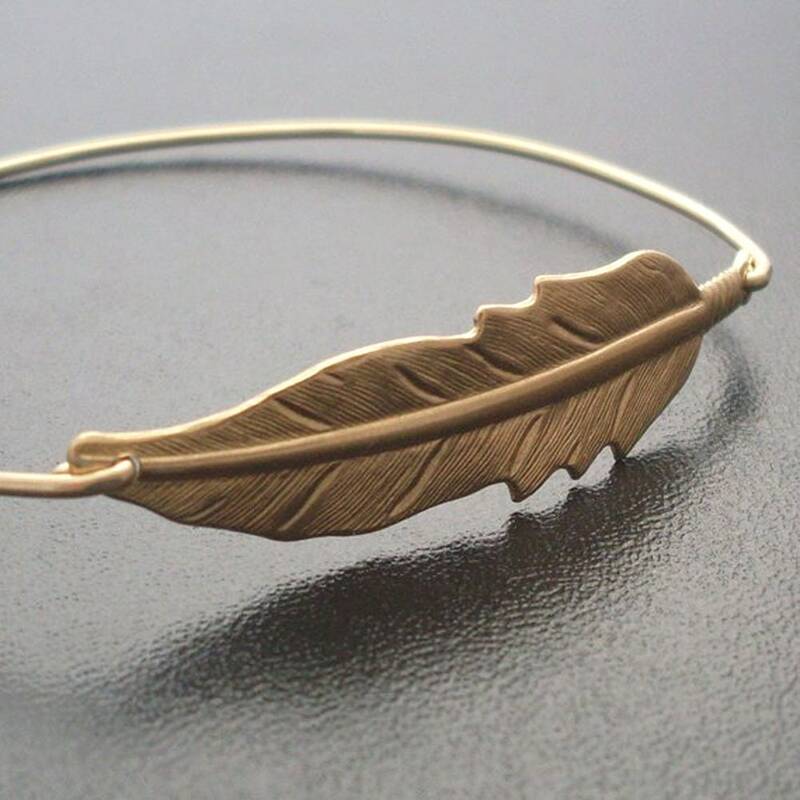 I can also make this feather bracelet in silver tone with choice of silver filled or sterling silver bangle band. If you want this option for your feather jewelry select from options when ordering. Please specify size in notes to seller during checkout... 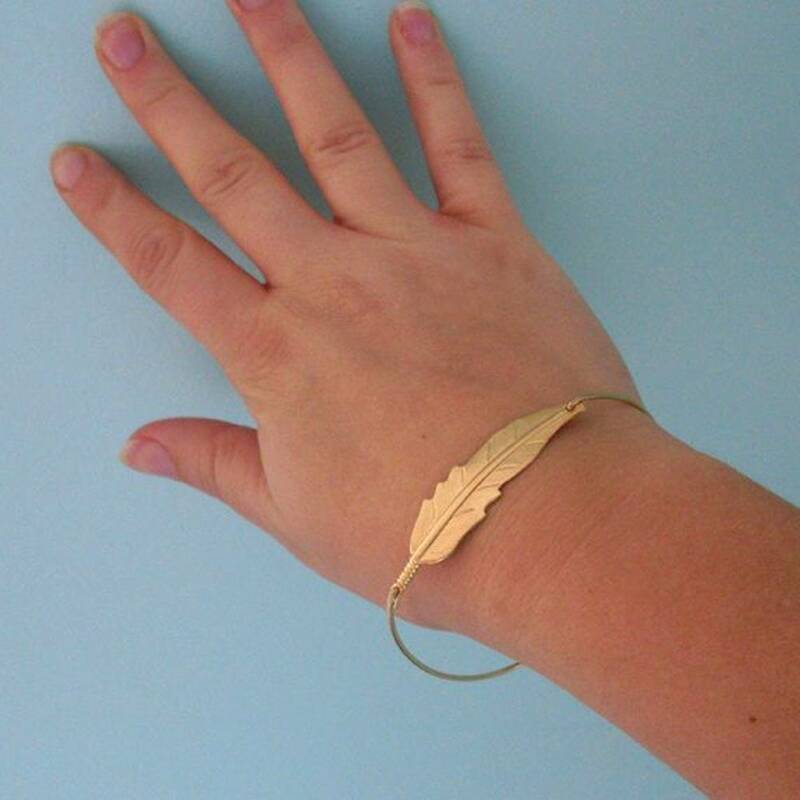 Choose from one of my regular sizes below for your feather bracelet by measuring one of your favorite bangles, or give me the circumference of the widest part of your hand where the bangle has to be pulled over; then I can size your bangle bracelet feather for you. All of my bangles are closed and can’t be opened. Therefore, this hippie bracelet has to fit over the hand. 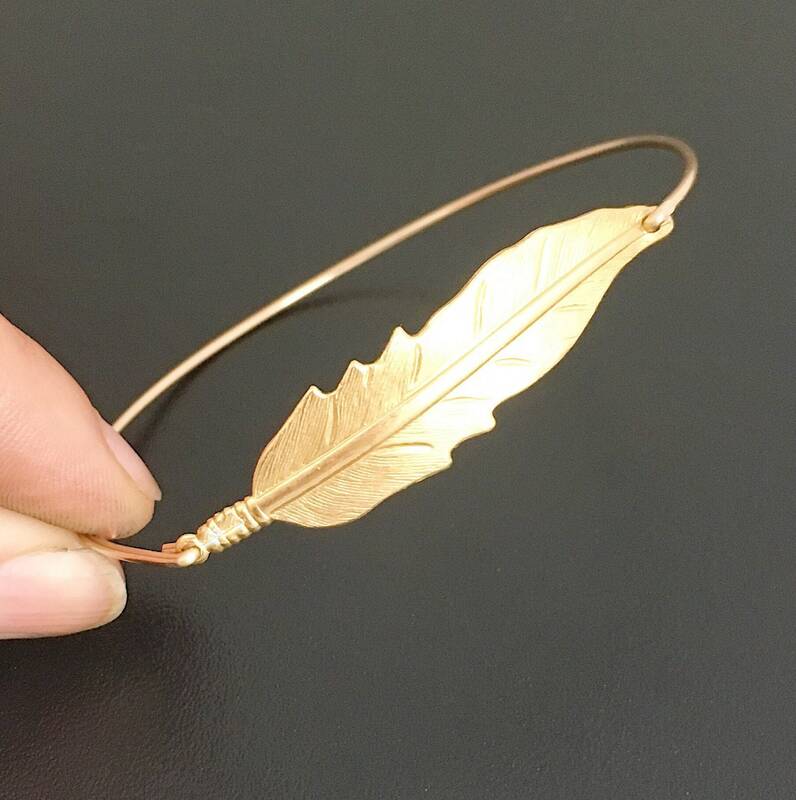 Custom size: specify a custom size bangle for your nature bracelet. This hippie jewelry created and hand crafted with great care and love for you and yours. 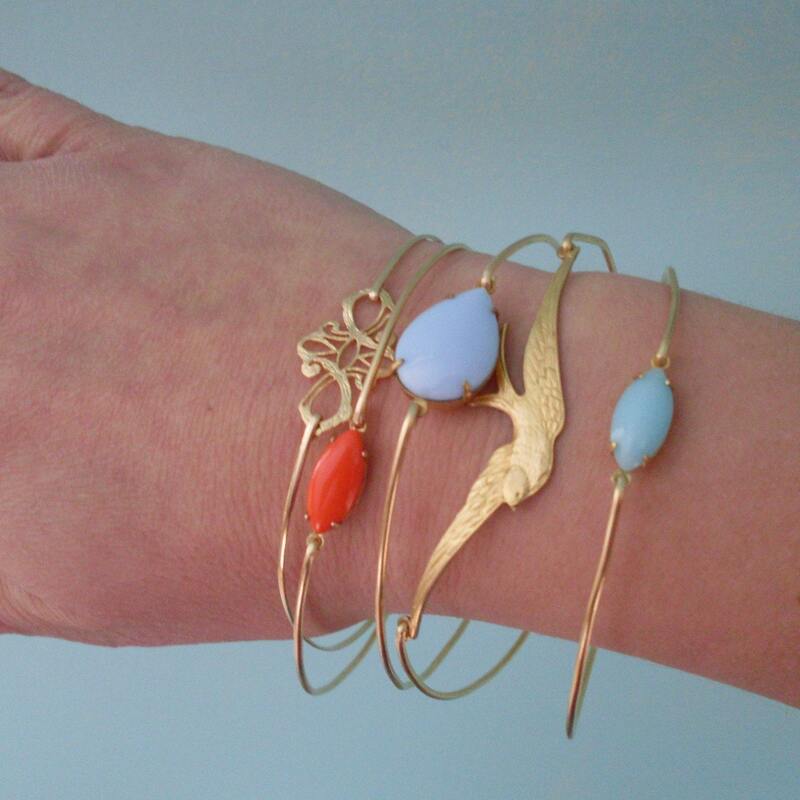 All of my stackable bangles including this nature theme jewelry, hippie bracelet are special handmade creations that are original Frosted Willow bangle designs. 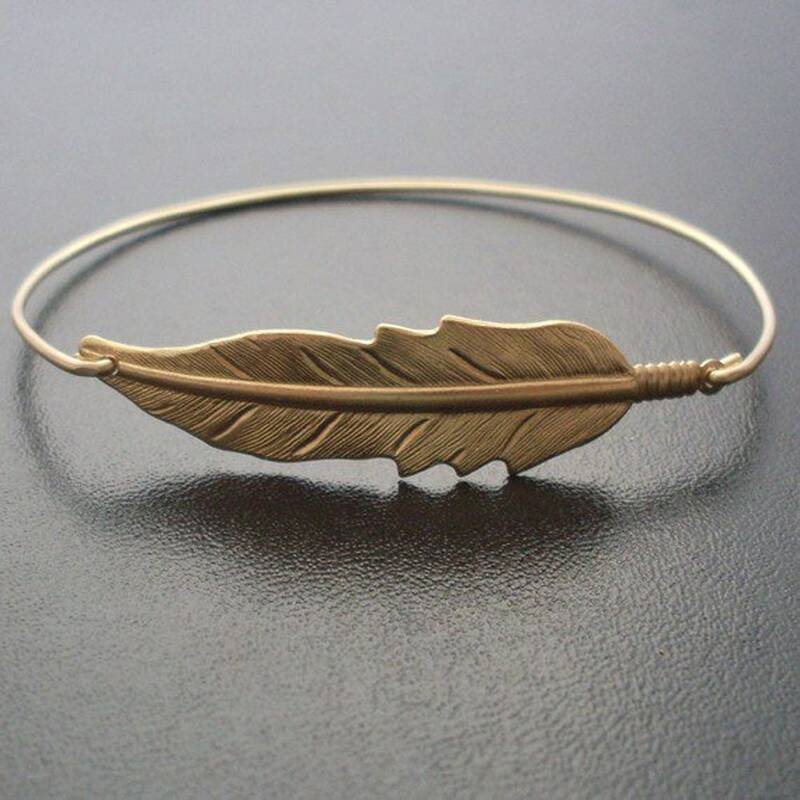 I hope you love this feather bracelet. 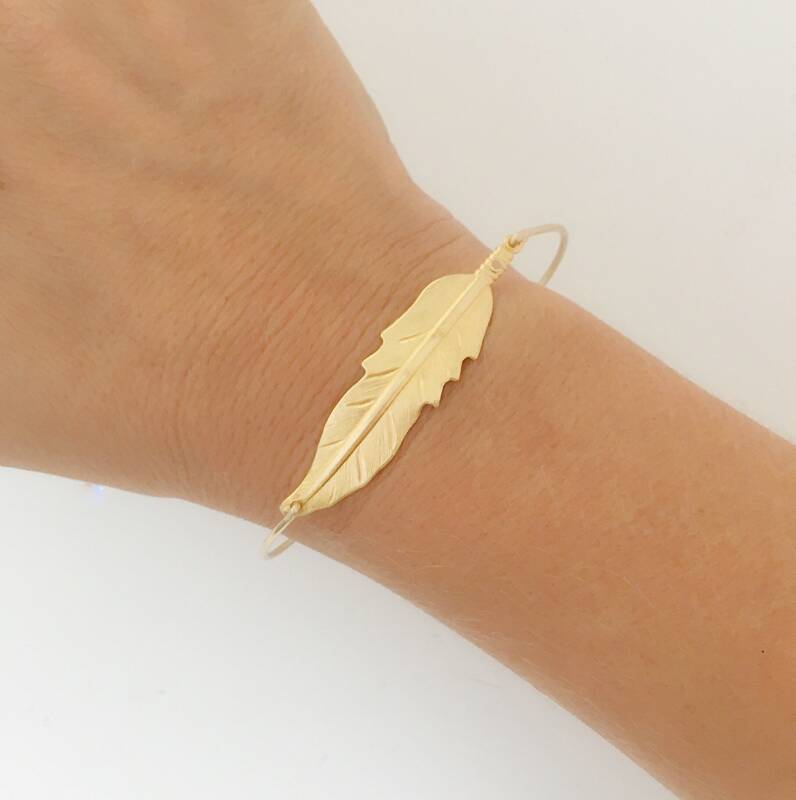 The idea for taking a feather charm (not to mention other charms) and attaching a bangle to one side, and drilling a hole through the other end to allow the bangle to attach to the other side is my original concept and idea. 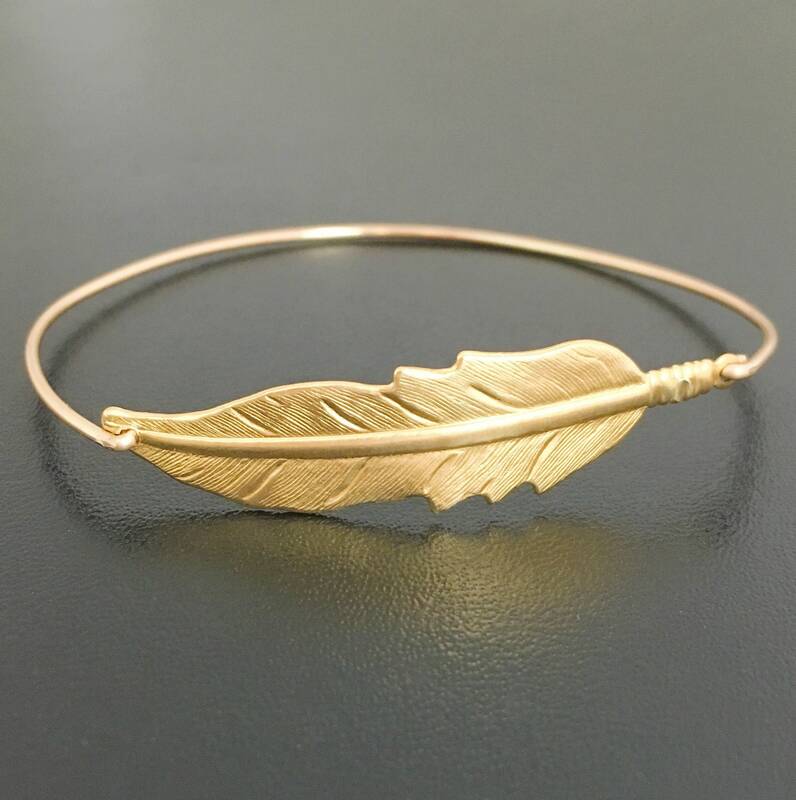 As the originating artist, all reproduction rights for making bangles of this style using this or other feather charms are reserved. Do not copy this work, style, or concept. No work may be reproduced in any manner, OR DERIVATIVE COPY MADE whatsoever without obtaining a license from from Frosted Willow, or express, written consent of the artist.